Arlington Ridge homes are being built by FLC, one of Central Florida’s most respected homebuilders and winner of national awards for building the best Florida over 55 communities. All of us at FLC have one goal: to create a truly excellent way of life for our customers to enjoy at our independent senior communities. We work together to build homes and independent senior communities in Florida that are quite simply the best retirement communities available in terms of planning, design, amenities, and value. Along the way, we’ve been recognized both statewide and nationally as one of Florida’s finest home builders and developers. Virtually every one of our Florida over 55 communities has been the winner of a major national award for quality and livability. Most recently, our SummerGlen community in Ocala, Florida, was named one of the 50 Best Master Planned Communities In The U.S. by “Where To Retire” magazine and The Best Retirement Community in America Under $250K by BestRetirementDestinations.com. 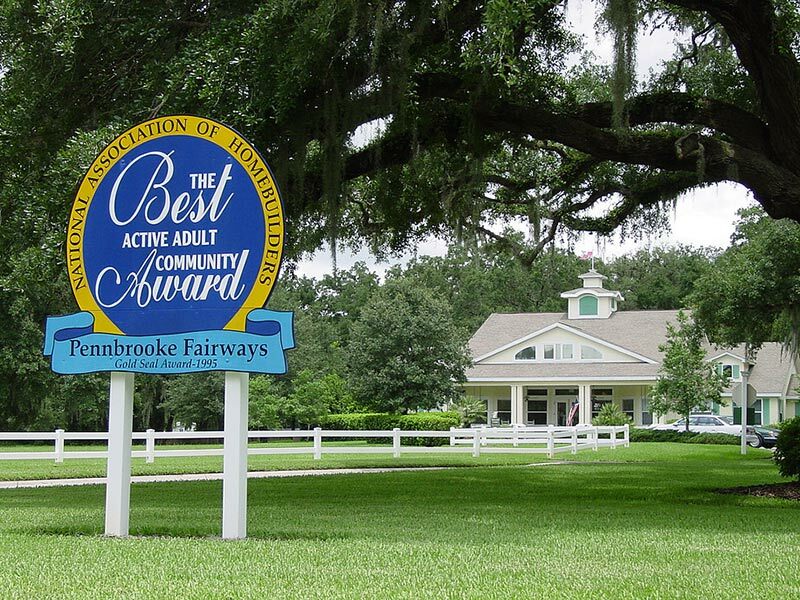 Our Pennbrooke Fairways community in Leesburg received the Gold Seal Award for the Best Active Adult Living from the National Association of Homebuilders. We love what we do, and our pride in our work and our company shows on the faces of our professional team and in our attention to quality in every single aspect of our independent senior communities. Florida Leisure Communities has built homes and over 55 communities in Florida which meet the particular needs and desires of our homeowners. The communities we create offer a living environment that is modern, secure, attractive, and easy to maintain. We enhance each of our Florida independent senior communities with outstanding recreational amenities which have been specifically and carefully designed to suit the tastes of a particular community. Then, we add stable and prudent management which enhances our homeowners’ lifestyles and helps ensure the long-term value of their investment. Find out more about how we build your home how we customize your new home for you. How we customize your new home for you with our Build Com Process. Every builder claims to build the “best” quality home, but what does that really mean? At Arlington Ridge, we take some very specific steps to ensure our homeowners get the very best quality at every stage of construction. ways our company goes “the extra mile” to build quality into your new home from the ground up. We invite you to download an on-line copy of this report that you can read on your computer or print from home. Note–Adobe Acrobat Reader required. You can download a free version of ​Acrobat Reader here. See our interview on Florida Homes, a leading site for Florida Real Estate, as well as South Carolina homes for sale, North Carolina real estate and Lakeland, FL homes for sale: Important Home Features to Look For. Careful planning and attention to detail is what makes FLC’s over 55 communities the best independent senior communities in Florida. Long before the first spade of dirt is turned, we carefully research the needs and wants of our customers. Then, working with a team of architects, land planners, engineers and other professionals, we create a development plan which is comfortable to live in, sensitive to the environment, and financially sound. Every stage of every project is carefully monitored to ensure that we meet our customers’ expectations and our own high standards of quality along the way. 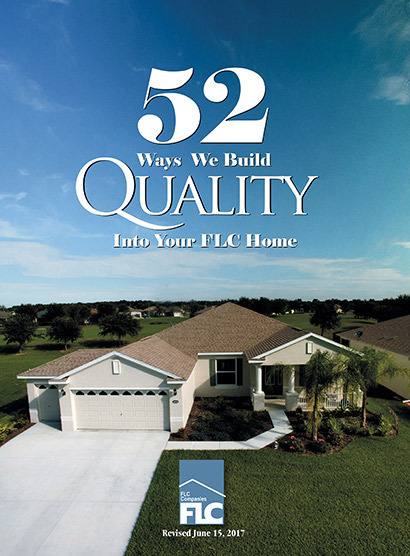 As a result, we have garnered both national awards for excellence and the loyalty and support of more than 4,500 homeowners for FLC’s over 55 communities in Florida. We look forward to building your new home at Arlington Ridge. Learn more about how we build your new home. You can also contact Arlington Ridge to learn about FLC’s other independent senior communities in Florida.